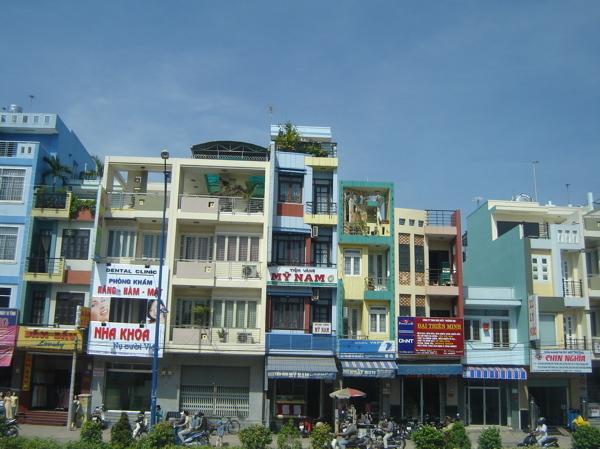 Ho Chi Minh City (Saigon), (Vietnamese: Thành phố Hồ Chí Minh is the largest city in Vietnam. 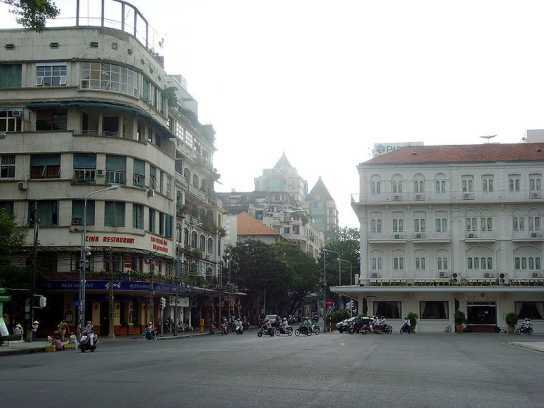 It was known as Prey Nokor before being annexed by the Vietnamese in the 17th century. Prey Nokor was a City in Cambodia. Prey Nokor was the most important commercial seaport to the Khmers. Increasing waves of Vietnamese settlers, which the Cambodian kingdom could not impede because it was weakened by war with Thailand, slowly Vietnamised the area. In time, Prey Nokor became known as Saigon. Under the name Saigon (Vietnamese: Sài Gòn; it was the capital of the French colony of Cochinchina and later of the independent state of South Vietnam from 1954 to 1975. 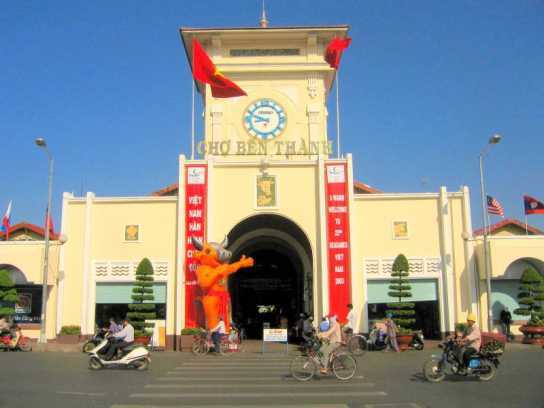 The city center is situated on the banks of the Saigon River, 60 kilometers (37 mi) from the South China Sea and 1,760 kilometers (1,094 mi) south of Hanoi, the capital of Vietnam. 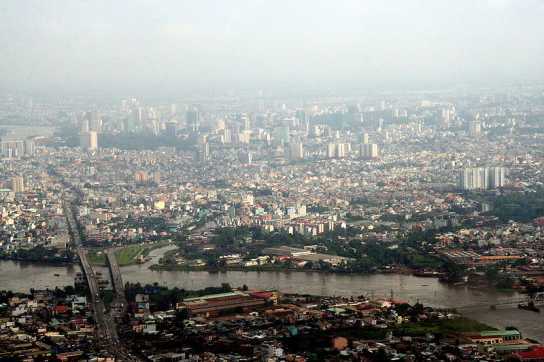 The metropolitan area, which consists of the Hồ Chí Minh City metropolitan area, Thủ Dầu Một, Dĩ An, Biên Hòa and surrounding towns, is populated by more than 9 million people, making it the most populous metropolitan area in Vietnam and Indochina. 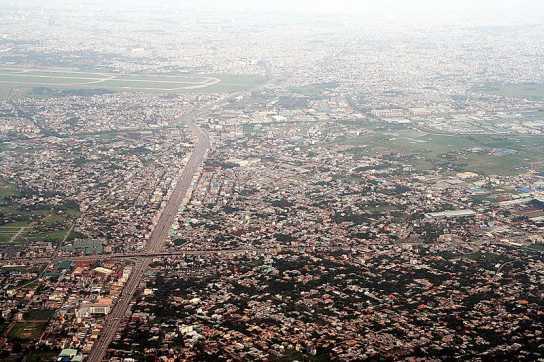 The Greater Ho Chi Minh City Metropolitan Area, a metropolitan area covering most parts of Đông Nam Bộ plus Tiền Giang and Long An provinces under planning will have an area of 30,000 square kilometers with a population of 20 million inhabitants by 2020. After Prey Nokor was settled by Vietnamese refugees from the north, in time it came to be known unofficially as Sài Gòn;. There is much debate about the origins of the Vietnamese name, Sài Gòn;, the etymology of which is analysed below. 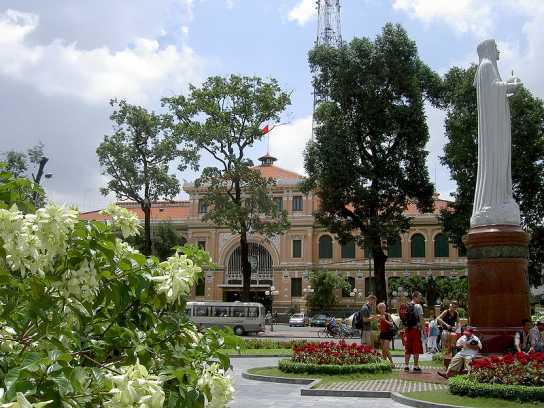 However, before the French colonisation the official Vietnamese name of Saigon was Gia Định (Chữ Nôm: 嘉定). 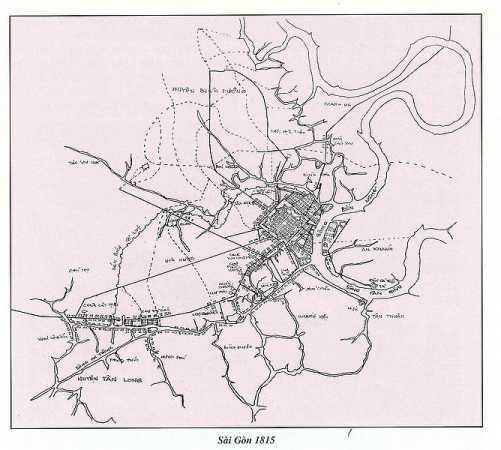 In 1862, the French discarded this official name and adopted the name "Saigon", which had always been the popular name, although it was still written as 嘉定 on sinitic maps until at least 1891. The Vietnamese name, Sài Gòn;, is sometimes written in two words, which is the traditional convention in Vietnamese spelling. 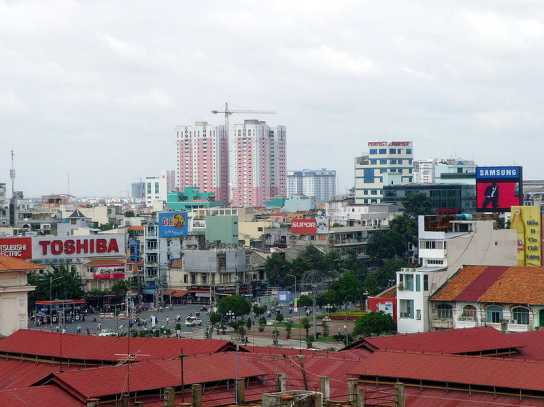 Some people, however, write the name of the city as "SaiGon" or "Saigon" in order to save space or give it a more Westernised look. 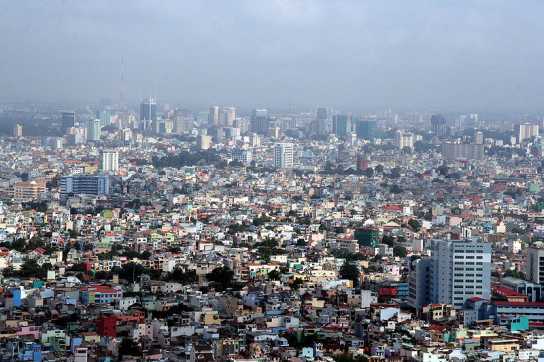 forms the area of Ho Chi Minh City. A frequently heard, and reasonable, explanation is that Sài is a Chinese loanword (Chinese: 柴, pronounced chái in Mandarin) meaning “firewood, lops, twigs; palisade”, while Gòn is a another Chinese loanword (Chinese: 棍, pronounced gùn in Mandarin) meaning “stick, pole, bole”, and whose meaning evolved into “cotton” in Vietnamese (bông gòn, literally “cotton stick”, i.e., “cotton plant”, then shortened to gòn). Some people say that this name originated from the many cotton plants that the Khmer people had planted around Prey Nokor, and which can still be seen at Cây Mai temple and surrounding areas. Another explanation is that the etymological meaning “twigs” (sài) and “boles” (gòn) refers to the dense and tall forest that once existed around the city, a forest to which the Khmer name, Prey Nokor, already referred. In Chinese, the city is referred to as 西貢, pronounced “sai gung” in Cantonese, "sai goong" in Teochew and xīgòng in Mandarin. This represents “Saigon” written phonetically. 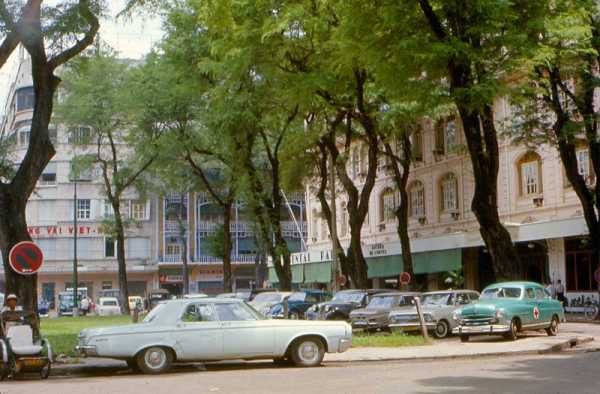 The Continental Palace Hotel in 1966. Another reasonable etymology was offered by Vương Hồng Sển, a Vietnamese scholar in the early 20th century, who asserted that Sài Gòn had its origin in the Cantonese name of Cholon (Vietnamese: quoc ngu Chợ Lớn; chu nom Cholon.png), the Chinese district of Saigon. 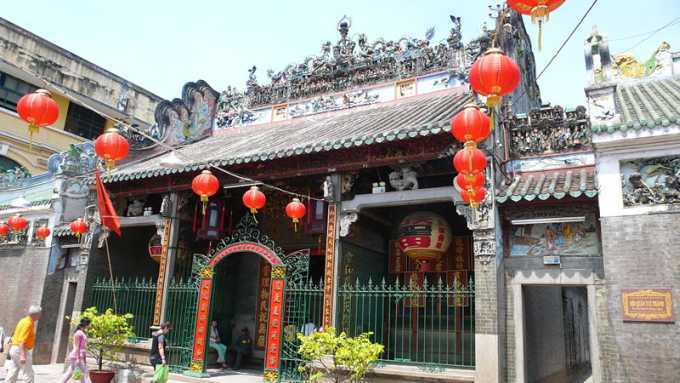 The Cantonese (and original) name of Cholon is "Tai-Ngon" (堤岸), which means "embankment" (French: quais). 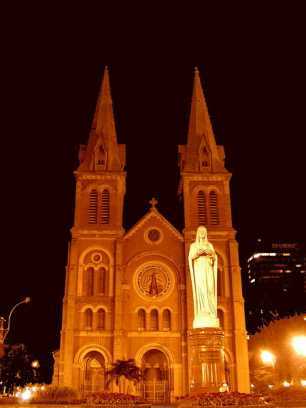 The theory posits that "Sài Gòn" derives from "Tai-Ngon"
Another etymology often proposed, although held now as a least-likely etymology, is that “Saigon” comes from “Sai Côn”, which would be the transliteration of the Khmer word, Prey Nokor meaning “god or heavenly”. 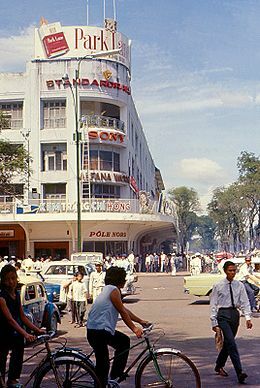 Busy Saigon Street in 1966. Nokor is a Khmer word of Sanskrit origin meaning "city, land"). This Khmer etymology theory is quite interesting, given the Khmer context that existed when the first Vietnamese settlers arrived in the region. However, it fails to completely explain how Khmer “prey” led to Vietnamese "sài", since these two syllables appear phonetically quite distinct and as the least reasonable and least likely candidate from the Khmer etymology. "Prey" is forest/jungle in Khmer. Nokor is Kindom/city/land in Khmer. So, "Prey Nokor" is literally Forest Kingdom. 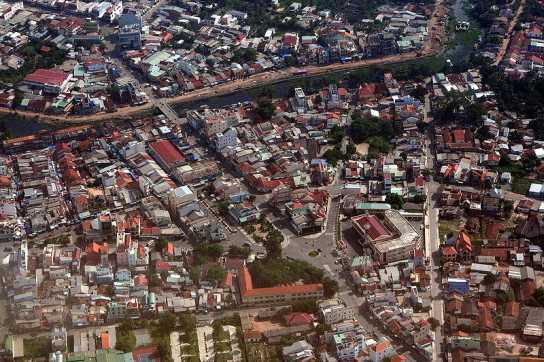 Immediately after the communist takeover of South Vietnam in 1975, a provisional government renamed the city after Hồ Chí Minh, a former North Vietnamese leader. 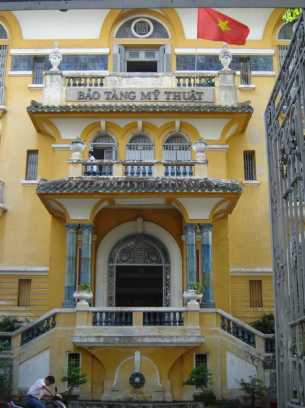 The official name is now Thành phố Hồ Chí Minh, abbreviated Tp. HCM. 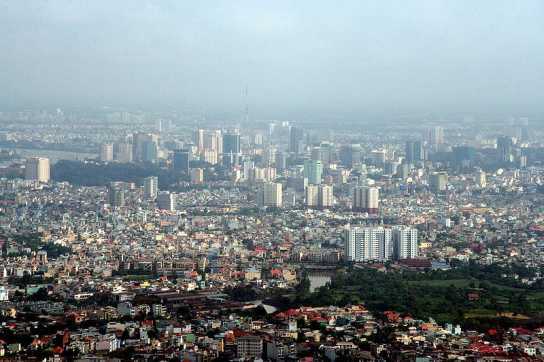 In English, this is translated as Hồ Chí Minh City, abbreviated HCMC, and in French it is translated as Hô Chi Minh Ville (the circumflex is sometimes omitted), abbreviated HCMV. 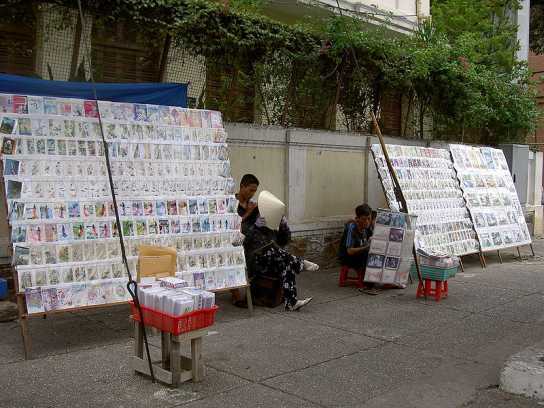 Sài Gòn is still the most common way to refer to the city in conversation inside Vietnam. 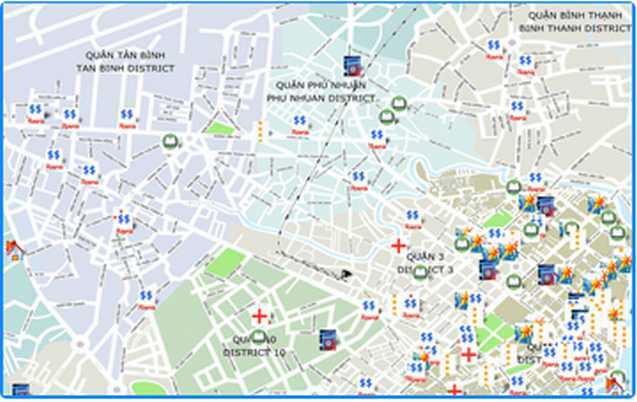 Sài Gòn is used officially to refer to District 1; for example, in bus destinations. 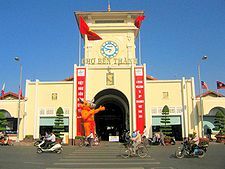 The name is also found in company names, book titles and even on airport departure boards (the code for Tân Sơn Nhất International Airport is SGN). 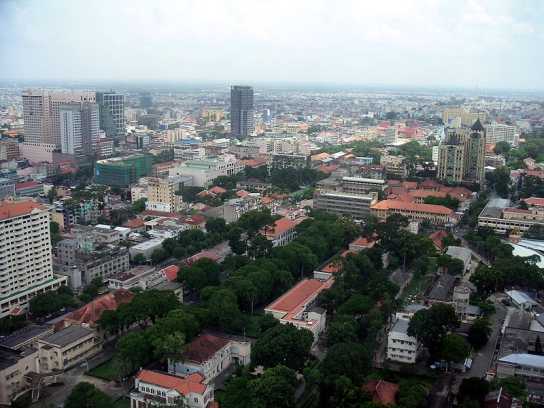 Also, most Vietnamese that fled the country during the communist takeover do not recognise the name “Hồ Chí Minh City”, and will only refer to the city as Saigon. 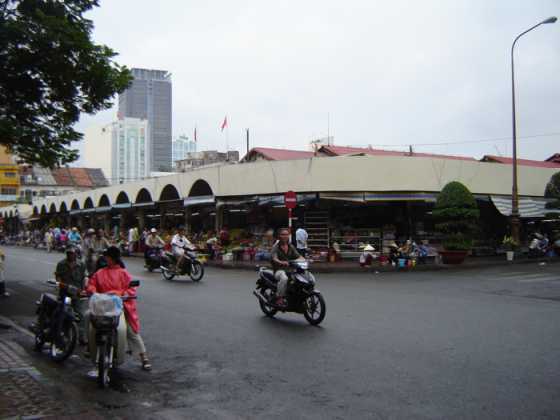 Hồ Chí Minh City began as a small fishing village known as Prey Nokor. 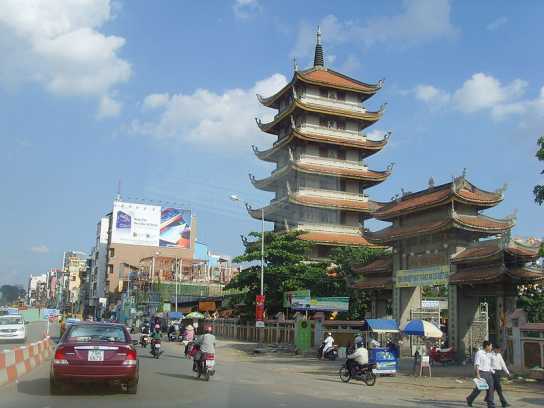 The area that the city now occupies was originally swampland, and was inhabited by Khmer people for centuries before the arrival of the Vietnamese. It should be noted that in Khmer folklore southern Vietnam was given to the Vietnamese government as a dowry for the marriage of a Vietnamese princess to a Khmer prince in order to stop constant invasions and pillaging of Khmer villages. 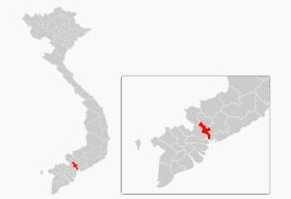 Beginning in the early 17th century, colonisation of the area by Vietnamese settlers gradually isolated the Khmer of the Mekong Delta from their brethren in Cambodia proper and resulted in their becoming a minority in the delta. In 1623, King Chey Chettha II of Cambodia (1618—-1628) allowed Vietnamese refugees fleeing the Trịnh–Nguyễn civil war in Vietnam to settle in the area of Prey Nokor, and to set up a custom house at Prey Nokor. 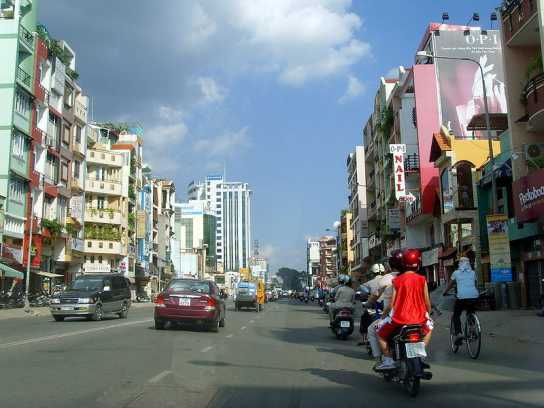 The city’s name was changed by Vietnam to Sài Gòn; and then Hồ Chí Minh City. 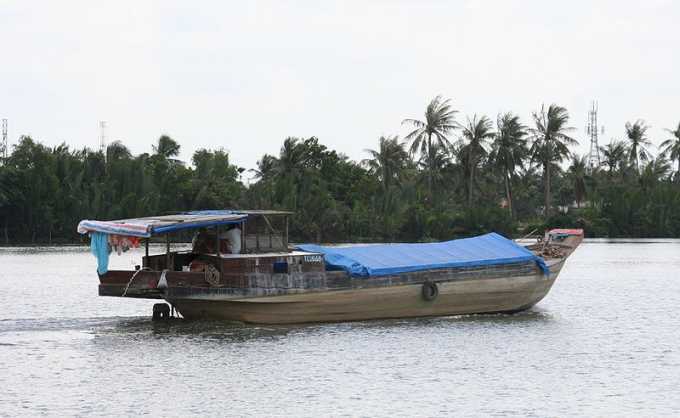 The loss of the city prevented the Cambodians access to the South China Sea. Subsequently, the Khmers' access to the sea was now limited to the Gulf of Thailand. It began as a small fishing village known as Prey Nokor. 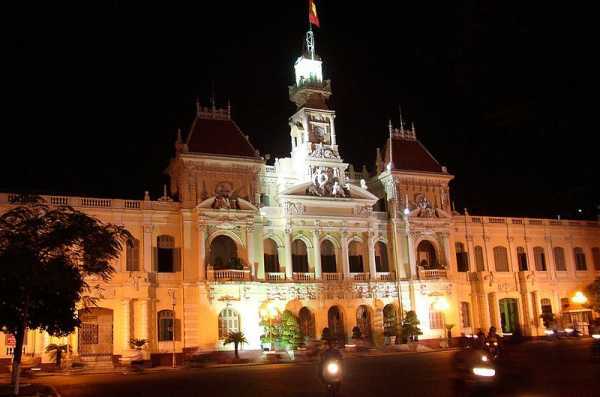 In 1698, Nguyễn Hữu Cảnh, a Vietnamese noble, was sent by the Nguyễn rulers of Huế by sea to establish Vietnamese administrative structures in the area, thus detaching the area from Cambodia, which was not strong enough to intervene. 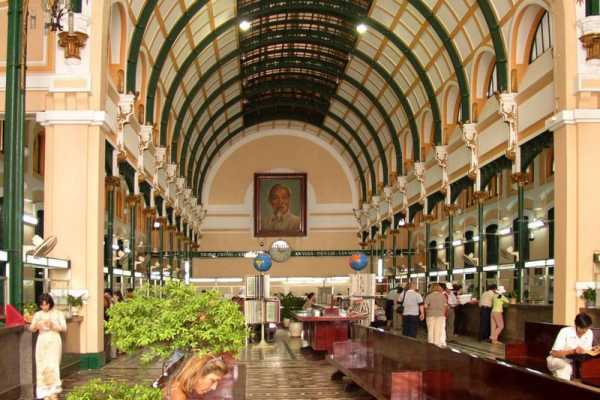 He is often credited with the expansion of Saigon into a significant settlement. A large Vauban citadel called Gia Định was built, which was later destroyed by the French over the battle of Chí Hoà. Conquered by France in 1859, the city was influenced by the French during their colonial occupation of Vietnam, and a number of classical Western-style buildings in the city reflect this, so much so that Saigon was called "the Pearl of the Far East" (Hòn ngọc Viễn Đông) or "Paris in the Orient" (Paris Phương Đông). 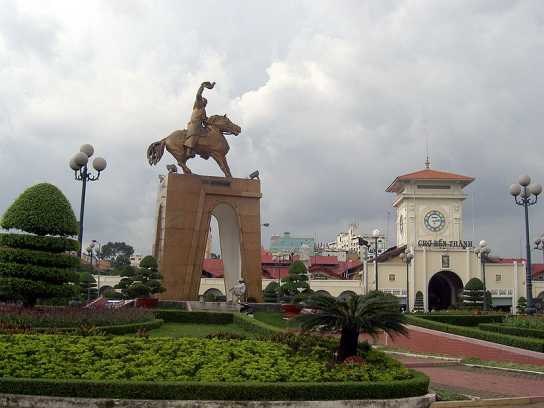 Former Emperor Bảo Đại made Saigon the capital of the State of Vietnam in 1949 with himself as head of state. After the Việt Minh gained control of North Vietnam in 1954, it became common to refer to the Saigon government as “South Vietnam”. 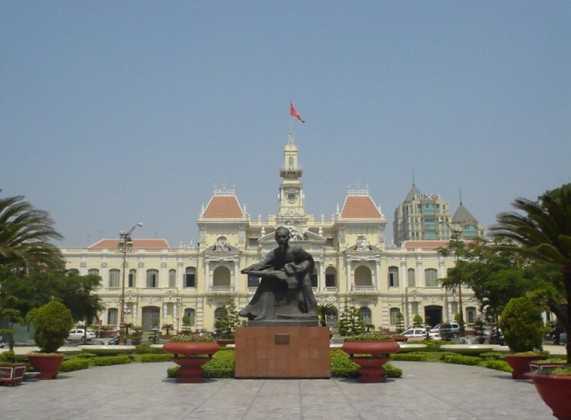 The government was renamed the Republic of Vietnam when Bảo Đại was deposed in 1955. 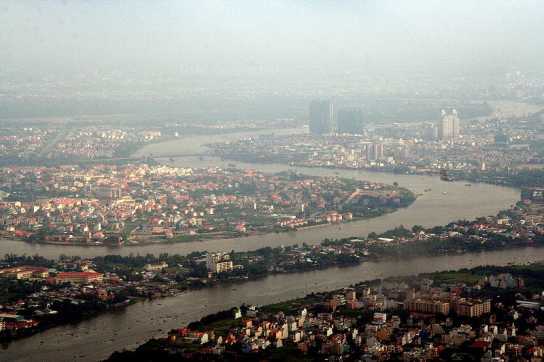 Saigon and Cholon, an adjacent city with many Sino-Vietnamese residents, were combined into an administrative unit called Đô Thành Sài Gòn ("Capital City Saigon"). At the conclusion of the Vietnam War, on April 30, 1975, the city came under the control of the Vietnamese People's Army. In the U.S., this event is commonly called the "Fall of Saigon," while the communist Socialist Republic of Vietnam call it the "Liberation of Saigon." 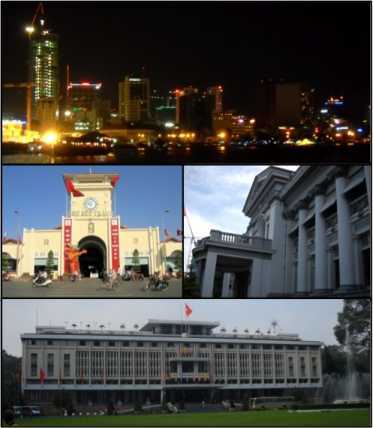 In 1976, upon the establishment of the unified communist Socialist Republic of Vietnam, the city of Saigon (including Cholon), the province of Gia Ðịnh and two suburban districts of two other nearby provinces were combined to create Hồ Chí Minh City in honour of the late communist leader Hồ Chí Minh. 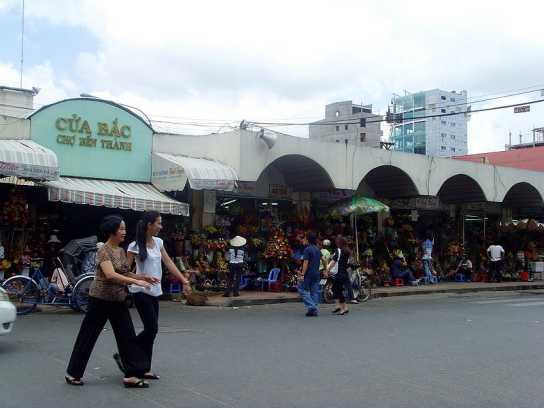 The former name Saigon is still widely used by many Vietnamese, especially in informal contexts. 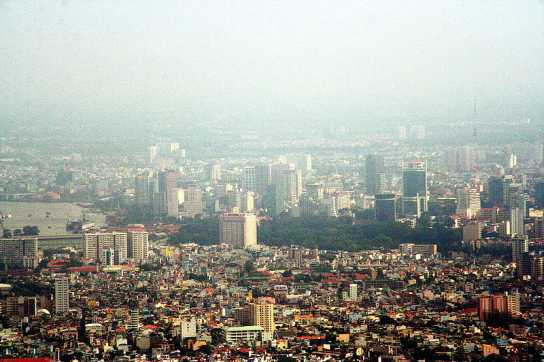 Generally, the term Saigon refers only to the urban districts of Hồ Chí Minh City. 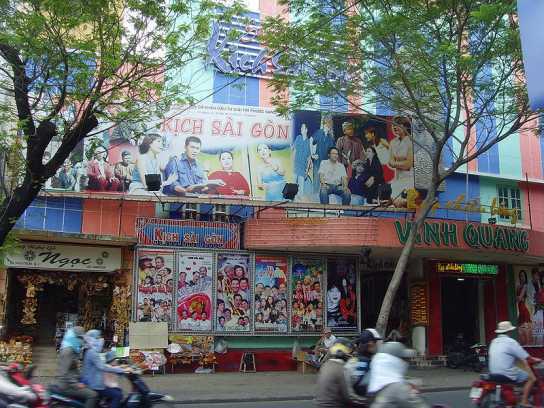 The word "Saigon" can also be found on shop signs all over the country, even in Hanoi. 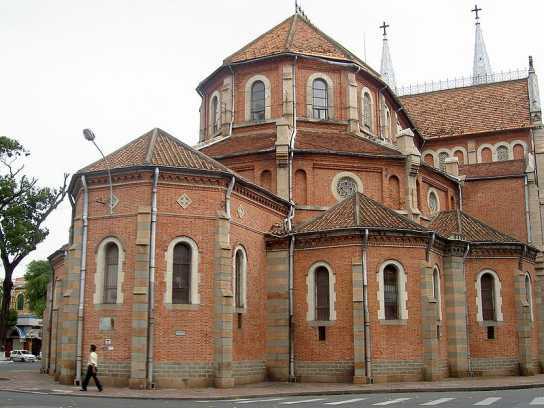 Today, the city's core is still adorned with wide elegant boulevards and historic French colonial buildings. 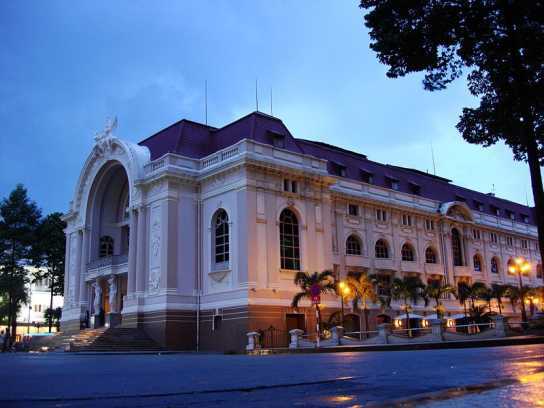 The most prominent structures in the city centre are Reunification Palace (Dinh Thống Nhất), City Hall (Ủy ban nhân dân Thành phố), Municipal Theatre, Ho Chi Minh City (Nhà hát thành phố), City Post Office (Bưu điện thành phố), State Bank Office (Ngân hàng nhà nước), City People's Court (Tòa án nhân dân thành phố) and Notre-Dame Cathedral (Nhà thờ Đức Bà). 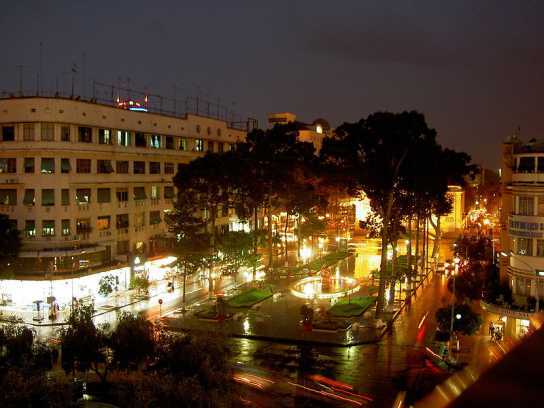 Some of the historic hotels are the Hotel Majestic, dating from the French colonial era, and the Rex Hotel, Caravelle hotel some former hangouts for American officers and war correspondents in the 1960s and 1970s. 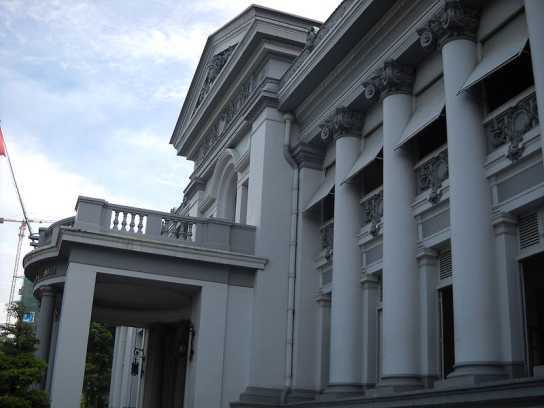 The city has various museums, such as the Ho Chi Minh City Museum, Museum of Vietnamese History and concerning modern history the Revolutionary Museum (Bảo tàng cách mạng) and the War Remnants Museum (Ho Chi Minh City). 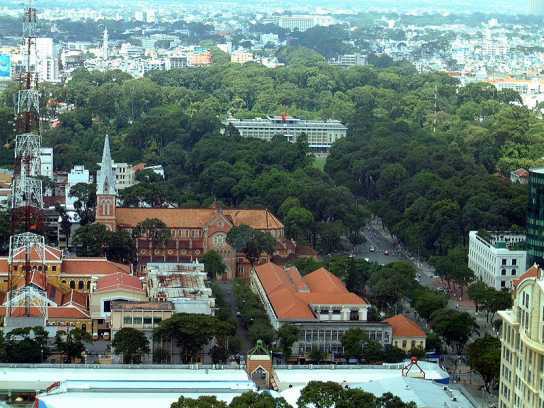 The Saigon Zoo and Botanical Gardens dates from 1865. This page was retrieved and condensed from (http://en.wikipedia.org/wiki/Ho Chi Minh City) see Wikipedia, the free encyclopedia, November 2008.